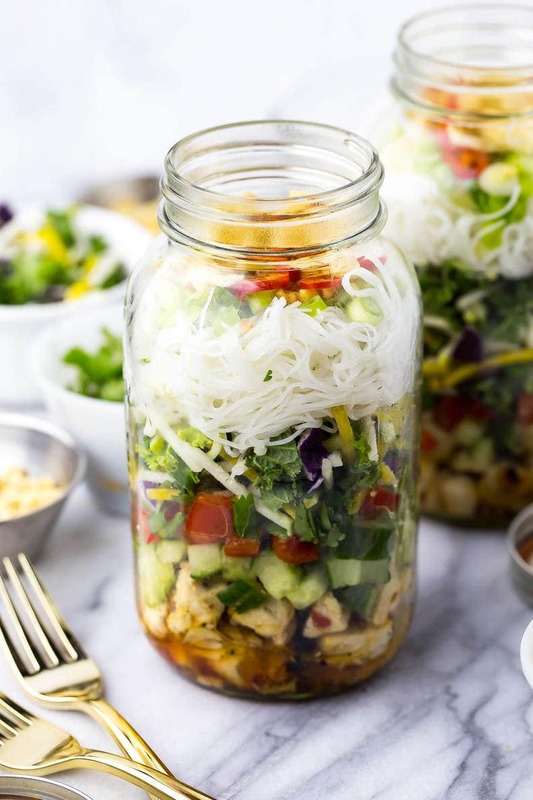 These Sweet Chili Chicken Salad Jars are the perfect grab and go lunch, filled with a delicious kale and red cabbage slaw along with vermicelli noodles and wonton crisps! This post is sponsored by Mann's. Thanks for supporting the brands I love – they help keep my blog up and running! It may not seem like it now, but I'm super convinced spring is on the way. Yes, I'm currently looking out my window at a few inches of snow on the ground. But daylight savings has hit, the days are longer, and I'm counting on salad to get me through. In a mason jar at that! For real, I'm going to start protesting the cold weather by eating all the veggies I possibly can. Like maybe if I believe hard enough that warm weather is on the way, we'll get it. And maybe I'll get bikini body ready in the process.?? 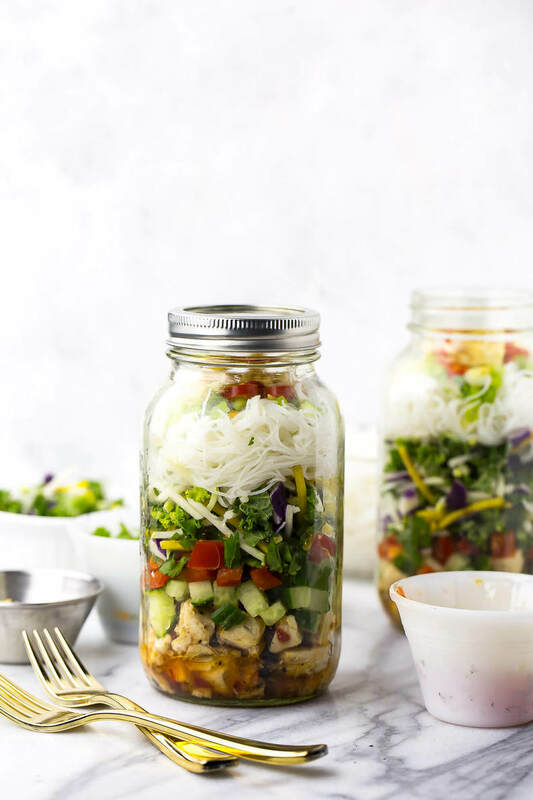 First of all, these Sweet Chili Chicken Salad Jars have got this super tasty grilled chicken tossed in one of my all-time favourite sauces, and the recipe is super foolproof. But second of all, you don't have to wait a million years for next week's work lunches to come together, and you don't have to spend too much money either. While your co-workers are all checking out that latest vegan takeout place that charges you $15 for a salad bowl with barely any protein (not to say hearty, protein-rich vegan meals don't exist! 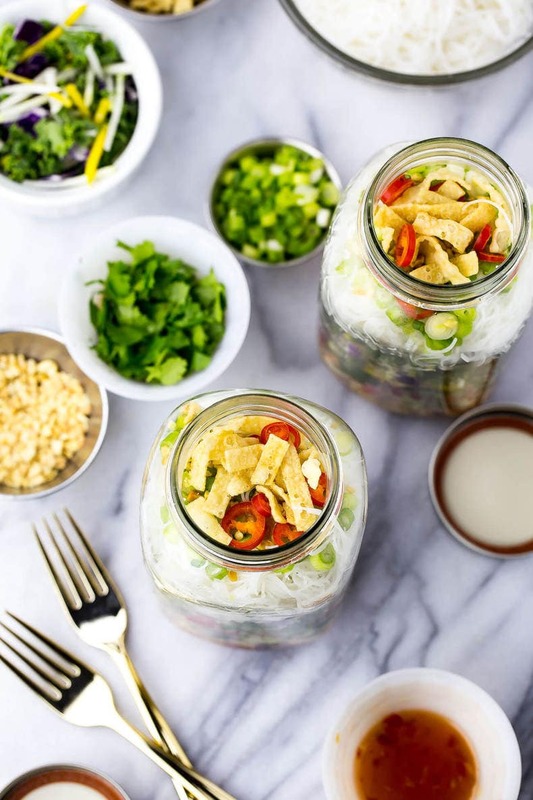 ), you'll be living it up with your ready-made, super-trendy Sweet Chili Chicken Salad Jars. And all four jars come together in just 20-minutes thanks to some time saved on prep with Mann's new Kale Beet Blend. With just a few ingredients, you're on your way to better lunches for the whole week. Really, these jars are so versatile you can even switch up the dressings, protein or grains to create different flavours for the whole week. A Mexican-style version of these with rice and chili-lime chicken would be an amazing addition to your weekly meal prep, or some ginger-soy marinated shrimp with some rice noodles would be fantastic. The whole trick to the salad jars thing is throwing whatever you have on hand into the mix, while keeping things quick, simple and nutritious with a salad blend like Mann's Kale Beet Blend (although they have many other packs that I love just as much as this one!). 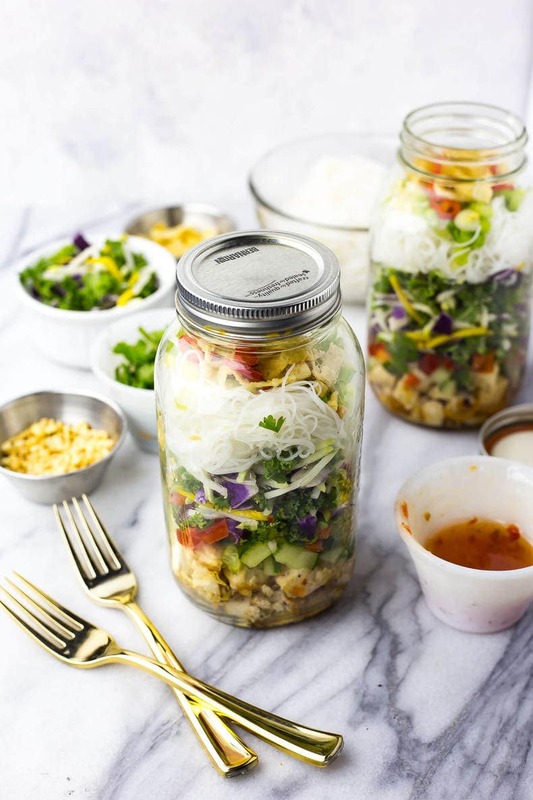 I don't know about you, but I just don't have the time to spend in the kitchen anymore, so I'm looking at these jars as a way to save time and money while ensuring you have a nutritious, healthy lunch for the whole week. 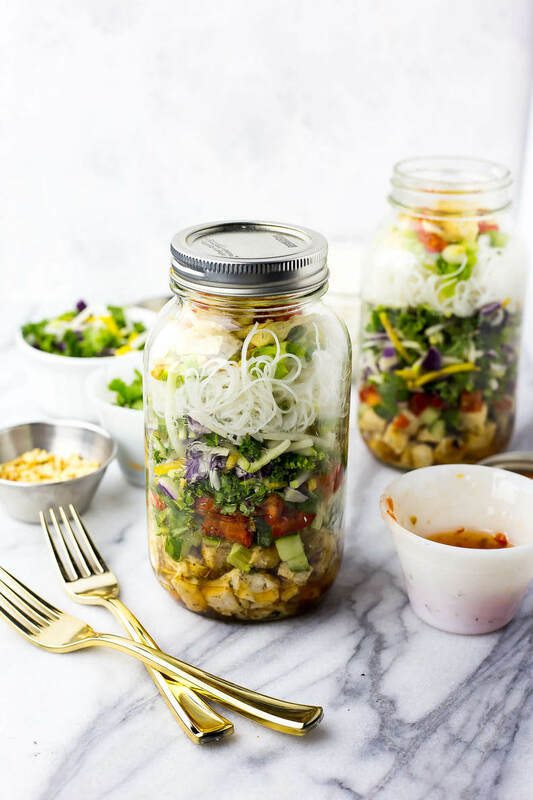 These Sweet Chili Chicken Salad Jars are kind of like a grown-up version of lunchables, don't you think? 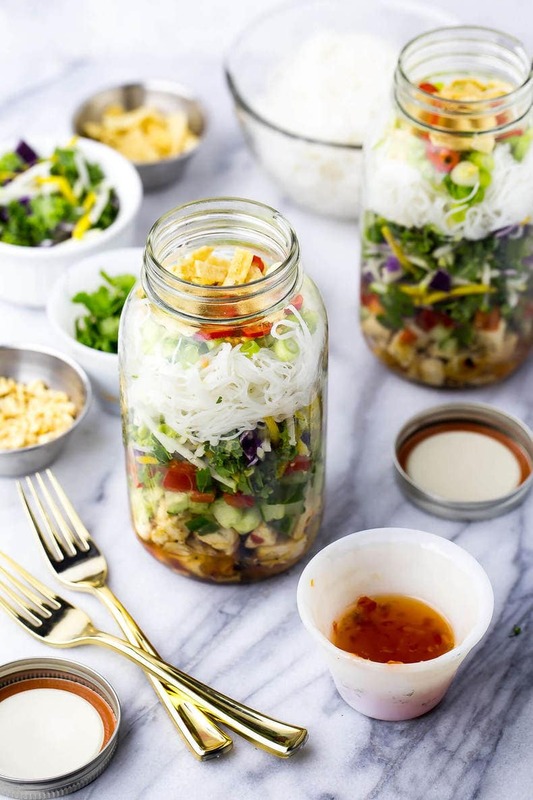 I also love love LOVE Mason Jar recipes (I've got another mason jar soup and superfood salad recipe on the blog too by the way, in case you just can't get enough…) because they take up less shelf space in your fridge. And they are WAY cheaper than traditional plastic storage containers. They aren't just trendy, people. They serve a basic purpose too.? 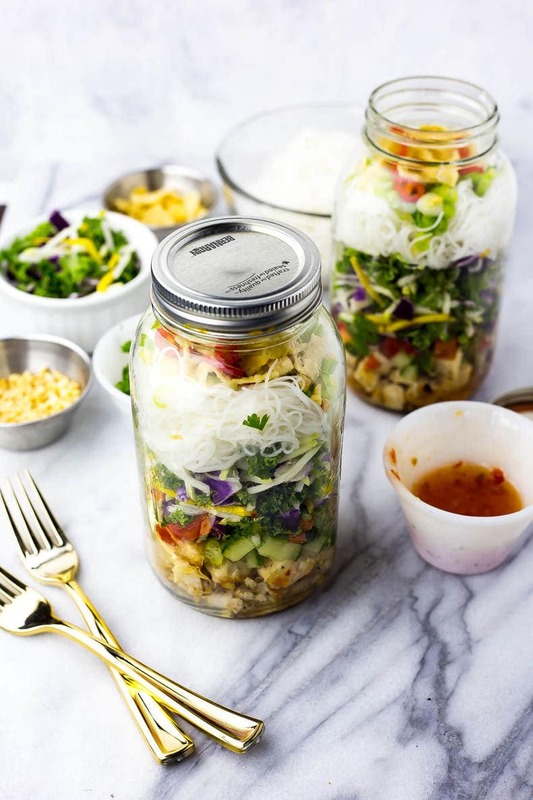 Will you be making some of these Sweet Chili Chicken Salad Jars as on-the-go lunches? 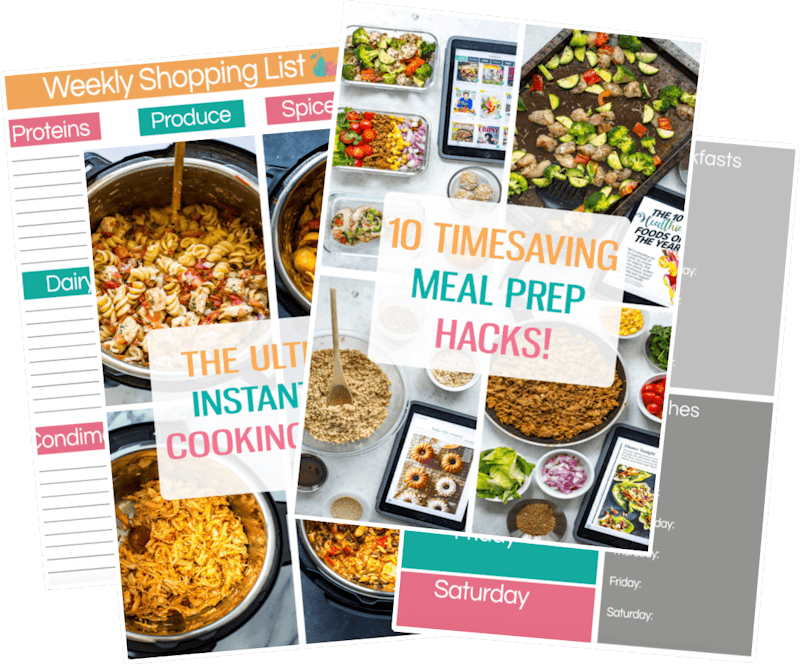 I can't even tell you how handy these are to have on hand when you've got a busy week, and honestly they're so quick to make that you really have no excuse for not whipping up a batch! 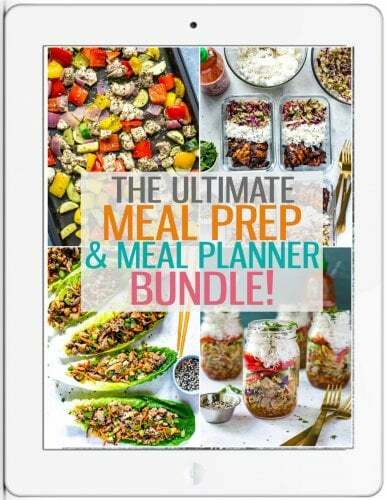 The vermicelli cooks in 2 minutes, you've got a veggie pack ready to go and the chicken is ready in 20 – now that's a fab meal plan right there! If you try any of my recipes be sure to let me know on Instagram, Twitter, Facebook or in the comments – I’d love to see what you create!? 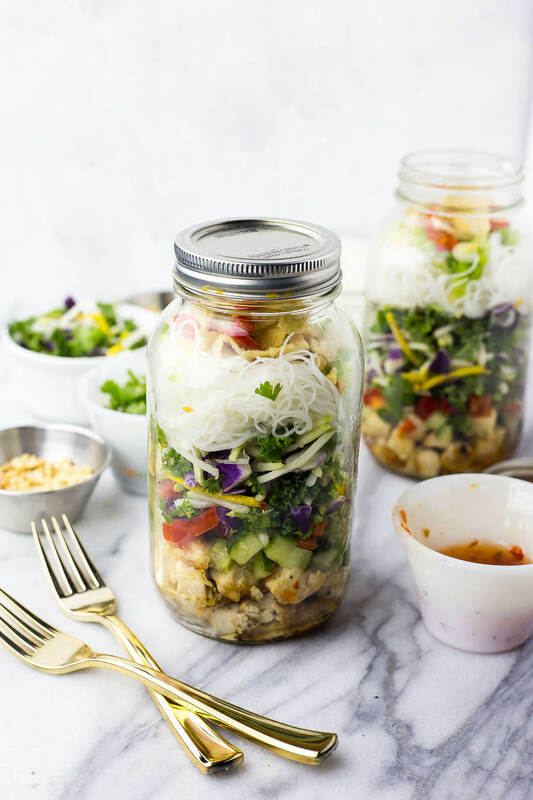 This Sweet Chili Chicken Salad Jars are the perfect grab and go lunch, filled with a delicious kale and red cabbage slaw along with vermicelli noodles and wonton crisps! Preheat BBQ to med-high. Season chicken with salt and grill for 20 min, flipping halfway through. Meanwhile, cook vermicelli and prepare veggies. Remove chicken from grill and let cool. Cut into cubes once cool enough to handle and toss in sweet chili sauce. Divide chicken evenly among each mason jar. Add cucumber, red pepper, cilantro and Kale Beet Blend. Top with vermicelli noodles, wonton crisps, chili pepper, green onions and peanuts. Serve and enjoy - these jars will last in the fridge up to 5 days. These look so incredible Taylor! I have been wanting to do the whole salad in a jar thing, but this is by far the tastiest version I’ve seen. Thank you so much Michelle!!! 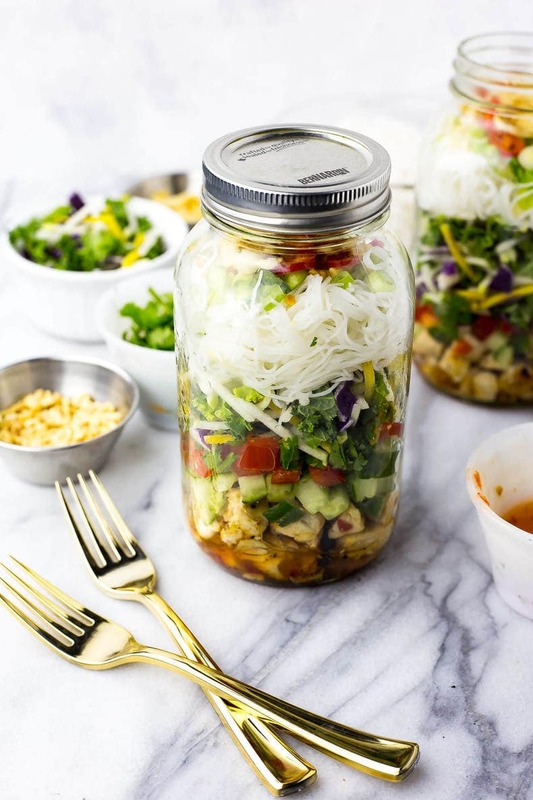 I had been wanting to make a mason jar salad for a long time but just never got around to it!